Cool Roofs provide financial and environmental benefits and long-lasting protection from the weather. Roofing represents only 3% of construction costs. Yet, many builders, architects / specifiers, roofing contractors and even home / building owners look to reduce their total construction and/or renovation costs, and all too often they find these savings in roofing. This cost cutting comes not only at the expense of installation quality, but also with the use of inefficient roofing materials. Two most common roofing choices are asphalt shingles for pitched roofs and EPDM ‘rubber’ for flat roofs. The former is made directly from oil, and the latter is made with oil by-products and other chemicals. Are Cool Roofs for everyone? In theory, every roof should be cool. If that was the case, our nation would greatly decrease its energy dependence and consumption. We would also improve our environment and air quality, and use less electricity to cool our homes and buildings. Bear in mind that over 50% of our electricity comes from coal-burning power plants and coal is the dirtiest source of energy; it pollutes air with, sulfur, lead, arsenic, CO2 and other harmful substances and greenhouse gases. However, many people would argue that cool roofs are only for Sun-belt states, and that black roofs are better for northern states. This is completely wrong. 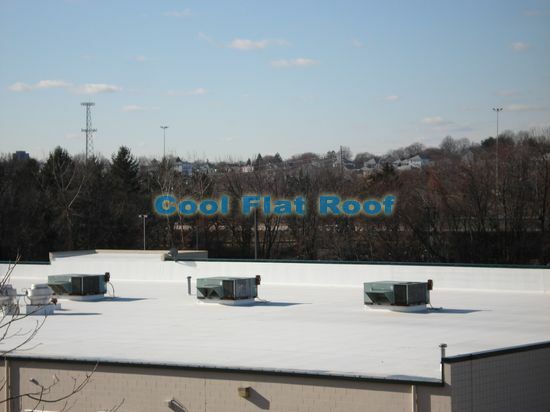 Lets review the differences of Cool (white) roofs and black roofs in terms of energy savings and heat gain in the summer vs. heat loss in the winter. First of all, let me point out that in the winter, heat does not escape the building (unless you open your windows), but rather cold air enters the building and lowers the inside temperature. With this in mind, lets compare the energy cost advantage of a black roof in the winter and a white roof in the summer. Gas will be used as a source of heat, but since gas rates differ from city to city, we will convert the BTU value of 1 gallon of oil to that of 1 therm of natural gas. The oil price used in this comparison is $2.39 per gallon, which is the average here in Massachusetts for oil customers with delivery contract as of January 8, 2009. Please note that the price of 1 barrel of Oil today is $41.89. Solar Reflectance: 85 for IB Roof and 6 for Black EPDM. Although IB’s reflectance is 87% the calculator will not let us use more than 85, and since with dust accumulation on the roof reflectance drops, it is safe to use this number. 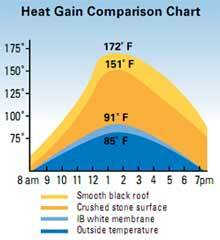 Infrared (thermal) Emittance: 88 for IB Roof and 86 for Black EPDM. Scenario 1 – Boston, MA. Cost of electricity in the Metro Boston area is approximately $0.22 per kWh. The cost of heating the building we get by multiplying price of 1 gallon of oil by 0.71 = price of “1 therm of heating oil” – $1.70 / therm. Note, that this is not the price of one therm of natural gas, but rather a BTU conversion from oil to natural gas. I use oil as it is the most common source of heat in the north east and in New England in particular. Scenario 2 – Los Angeles, CA. I will assume the energy price in CA, as I do not live there. For electricity rates I will use 30 cents per kWh. This assumes peak rate (when most people actually use their air-conditioners) and all the surcharges, delivery charges, etc. This is the total cost per kWh. Since gas prices in CA right now are just a bit higher as compared to Mass. we will use $1.80 as the price of therm of heating oil. Bear in mind that in California, they rarely use heating and it is mostly natural gas or electricity or propane for remote homes. Heating System efficiency: We use an average of 0.7 or 70%. My brand new Burnham closed loop hot-water radiator system is 86% efficient. The older heating system it replaced was about 50% efficient if not less. Also note that this is the burner efficiency and not the total system efficiency. Total system efficiency is greatly dependent on how well your house is insulated, the type of windows you have and the type of heat delivery you use: radiant, air ducts, steam or copper pipes with hot water circulating through the system. With 6-r insulation Net saving is $0.079 or almost 8 cents. With 13-r insulation Net saving is $0.037 or almost 4 cents. With 20-r insulation Net saving is $0.023 or almost 2.5 cents. With 6-r insulation Net saving is $0.217 or almost 22 cents. With 13-r insulation Net saving is $0.1 or 10 cents. With 20-r insulation Net saving is $0.062 or almost 6.5 cents. Let us now assume that you home is 2000 sq. ft. and has 6-r insulation value of the roof. In Boston, MA you would save $160 per year in electricity alone if you replaced your existing black roof, such as epdm rubber or tar & gravel, with a cool IB roof. Also, add leak free performance of IB roofs, no more roof repairs and other costs associated with roof leaks. In Los Angeles, you would save $440 each year! Also add the Energy Star tax credit for cool roof installation of $500. This is an actual tax rebate, and it equals to an average of $1800 worth of tax deductions. Overall, I would say that Cool Roofs are much more efficient in the southern states where there is a lot more sunshine and almost no snow. 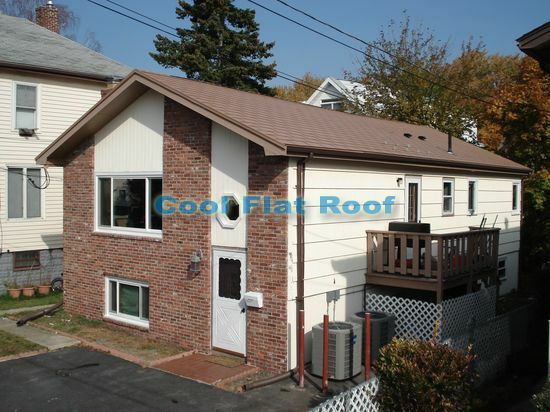 But even here in New England, a cool roof is a very attractive choice for people who are looking to get long term savings, lifetime leak free performance and/or are worried about the environment. While asphalt shingle is the ‘de-facto champion’ of sloped roofing with its VERY low cost and severe price competition in both residential and commercial markets, when it comes to flat roofing, there are more choices. Old-timers will recommend a 3 to 5 ply Built-Up roof or a two-ply Modified Bitumen. With the abundance of these and other tar and asphalt roofs still in service, and some new roofs being installed (although each year there are fewer BUR, asphalt and bitumen roofs being installed, as the flat roofing industry is quickly transitioning toward single-ply roofing membranes), all of these roofs are destined to end up in our land-fills, as recycling programs for asphalt-based roofs are virtually non-existent. That is millions of tons and billions of square feet of oil waste going into the ground each year! Another problem associated with the above-mentioned roofing materials is their color – most are black, which attracts and transfers tremendous amounts of solar heat into the building or a house. 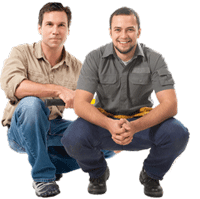 As a result, the air-conditioning system must work over-time to maintain a comfortable working and living environment. This causes overloads and power outages on electrical grids, increased cost of electricity, and as a result – higher electric bills. To offset the above-mentioned high cost of electricity, many people choose to install a Solar PV roof system. This is especially true in California where $0.35 – 0.40 per kWh of electricity is a normal residential rate. We wholeheartedly support nation-wide deployment of small and large scale solar photovoltaic systems, but the first step, which many people should take before installing solar systems, is to reduce their average energy consumption. This is where Cool Roofs come in very handy. Cool roofs provide tremendous reduction in cooling cost by reflecting 85-90% of solar heat and keeping your residence or place of work cooler in the summer. This directly reduces your electricity costs. This also puts less strain on your HVAC equipment, which leads to less maintenance, reduced repair costs and longer life for the Air Conditioning units. 2 – Cool Roofs last longer and leak less than black roofs. Cool Roofs generally outlast their counterparts by 50-100% and require much less maintenance and repairs than Rubber roofs, modified bitumen and tar / asphalt roofing systems. For a flat roofing market, the two major players are PVC and TPO membranes. These are single-ply, thermoplastic roofs which are hot-air welded together to provide decades of leaks-free services. There are also acrylic and urethane cool roof coatings, which make existing black roofs cooler and increase their service life by 5-15 years. Note: PVC and American-made TPO roofs are fundamentally different in terms of their chemical formulation and life expectancy, but both are considered cool roofs and ideally should last 20+ years. Learn more about the difference between PVC and TPO roofing. While 40 years ago there was no real alternative to asphalt-based roofing materials in the US market, for over 30 years we have had cool roofs that are energy efficient, light weight and provide long-lasting protection with much flexibility to accommodate for any obstacle present on the roof. PVC Roofs were the first real cool roofs to hit the US commercial roofing market. Some US manufacturers of early PVC membranes (most notoriously Trocal) had problems with their product, such as membrane shattering in extremely cold temperatures. The problem was due to the membrane being non-reinforced with nylon scrim. All major PVC (and TPO) membranes on the market today feature reinforcing scrim. IB PVC / CPA roofing feature a true Non-wicking scrim, which prevents the capillary water penetration between the two layers of the membrane. This is only one of many benefits of IB PVC Roofing which sets it apart from all other flat roofing systems. 3 – Cool Metal Roofs. For large commercial / industrial applications, there is structural metal roofing, usually found on space metal buildings, aluminum reflective coatings, etc. Although these do not meet Cool Roof requirements, they still are more energy efficient than black rubber and asphalt-based roofs. For residential and some commercial / retail / restaurant applications there are various styles of Architectural Metal Roofing. Usually coated with Kynar / Hylar high-performance coatings (paint) these roofs carry a Cool roof label and also greatly increase the energy efficiency of your entire home or building. Even without a Kynar coating, metal roofs are always “cooler” than asphalt shingles. Since metals (especially aluminum) have a much lower thermal mass, they do not store heat, and cool off much faster than any asphalt based roof. IB Roofs as well as other Cool Roofing systems provide enormous benefits to the environment. From reduced CO2 pollutions to reduction of roofing material waste going into our landfills, the whole chain of benefits is too complicated to fit into a general theme of this article. Therefore, I will only list the basic environmental benefits here. General benefits to the environment: Again, I’ll use IB PVC roof as the example, but most other cool roofs will “fit the bill”. As a side note, I’ll mention that USA makes up about 5% of world’s population, yet we consume 25% of the world’s energy. It is also estimated that 30% of US energy consumption is just wasted. Therefore, we (Americans) waste 7.5% of the worlds entire energy. And we wonder why gasoline / oil / electricity is so expensive…. PVC roofs last an average of 2 times longer than other flat roofing systems. PVC is extremely durable & versatile – therefore rarely needs replacement. When you hear that PVC is not recycled bear in mind that most Pvc-based products are still in service. PVC roofs are 99% recyclable and will find use in other applications after they complete their life-cycle. PVC rarely ends up in our landfills, as it is cheaper to recycle it than to dispose of it. You will usually see it at landfill sites as a waterproofing liner that will prevent toxins and pollutants from entering the ground under large piles of junk and waste. Although PVC roofs use fossil fuel as one of its basic components (natural gas – methane, to be exact), they also use chlorine as the 2nd major component – therefore PVC contains 50 % less fossil fuels than other plastics (such as TPO roofs) and do not use and carbon / oil-based products in it. Therefore PVC is not directly dependent on foreign oil supply, unlike Epdm / Modified Bitumen / Asphalt / Other Thermoplastics and oil-based products. Cool roof properties of PVC (and other cool roofing systems) reduce electricity usage of many commercial / industrial / residential buildings year after year. As a result, less pollution is emitted into the atmosphere. In fact, if all roofs in the US were cool, we would reduce our nation’s energy use by an average 10%, which is now just wasted! Great article. My partner and I are roofers too, and have been looking at adding flat roofing to our repertoire as we have experience with them, but we paint do asphalt shingle roof repair and roof replacements within our area. This is great and informative article. I am glad I ran into this. Thanks for putting this down.